Whether boiled, fried, baked or sauteed, potatoes are a staple in many homes. In fact, they're so popular people sometimes cook them in large quantities, only to have leftovers for later. Partly because of their starchy composure, storing cooked potatoes can be tricky. 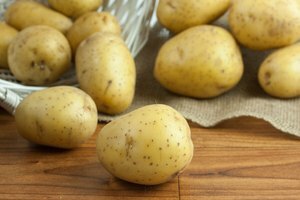 In storing cooked potatoes, you run the risk of facing two extremes -- having leftover fried potatoes dry out or having them turn to mush. Wrap fried potatoes in plastic wrap first before placing them in a zip-lock bag or plastic container. Pan-fried potatoes and leftover French fries have the tendency to dry out when stored in the refrigerator. Wrapping them in plastic wrap before placing them in a storage bag or container helps to seal in the moisture. 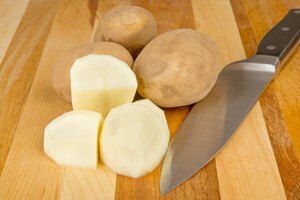 Remove cooked potatoes from gravies or meats if you're storing roast leftovers. Even when your gravy gels after it has been refrigerated, there is still moisture in it. By keeping your potatoes stored in that gravy, you run the risk of having your potatoes turn soft or mushy. Wrap these in plastic wrap before storing them in a bag or a container. Avoid keeping your cooked potatoes in the fridge for too long. Although potatoes can stay fresh for several days if refrigerated, the texture does not always hold up. 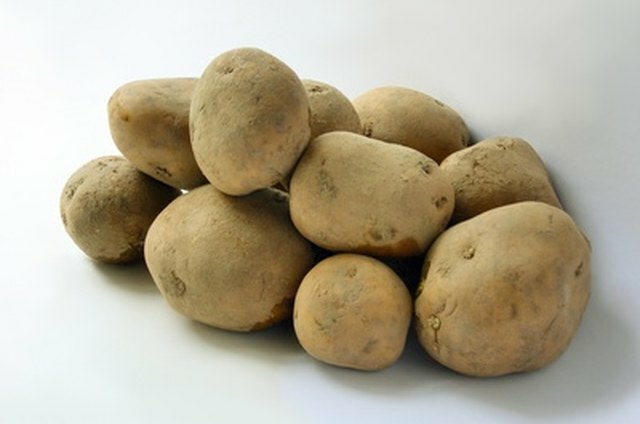 If you do not think you are going to eat your refrigerated cooked potatoes within a day or two, you can freeze them.